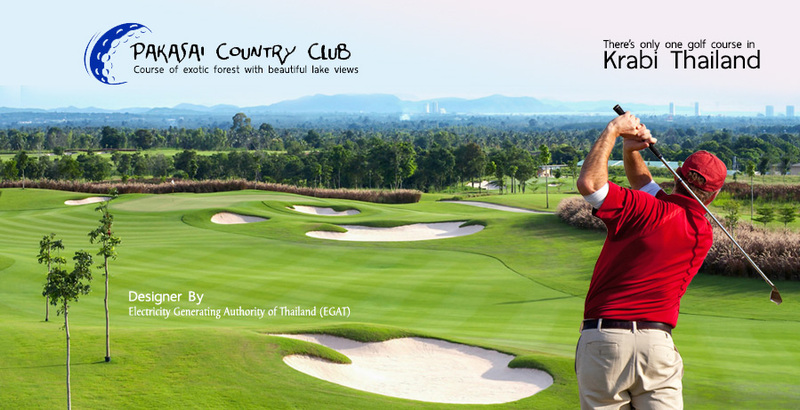 There's only one golf course in Krabi and fortunately it's rated quite highly by those who have played it , Pakasai Country Club is located in Krabi which is about 2 hours drive from Phuket and nestled among exotic forest with beautiful lake views. The course has very tricky fairways and fast greens providing a challenge for all standards of golfers. Pakasai Country Club, located in Krabi, is approximately 35 minutes from Ao Nang and one of the best 18 hole courses in Thailand nestled among an exotic forest with beautiful lake views. This unusual course hosts an extraordinary encounter with nature for any golfer, an excellent test of golf. It’s a unique golf experience that will impress you while playing. Pakasai Country Club is surrounded by native forest and is situated on a secluded hill, peacefully overlooking the surrounding village. The course has earned praise from golfers for its tricky fairways and fast undulating greens, in slightly hilly terrain, providing different levels of difficulty for golfers of all abilities. * Fees are paid directly to the caddy in most cases and a tip 300 THB. We have golfers play golf course. This site is not the official website of Pakasai Golf Course. Not related to any Pakasai golf course. This site is for those who are interested in golf.